My first book, On Merit, was released by MUP on 5 February 2019. 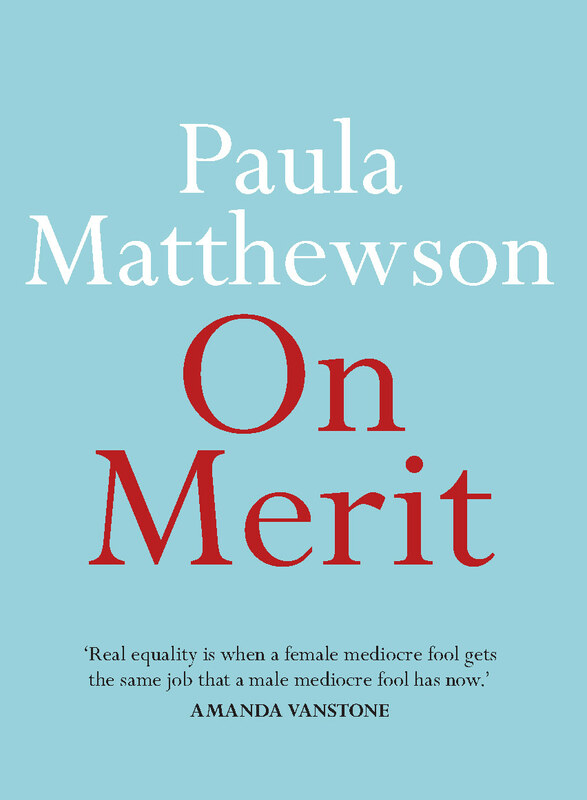 On Merit explores how merit has very little to do with the increasing dominance of men in the modern in the Liberal Party, and why Liberal women have continued to defend the principle. Until now. The book also explores this imbalance, its implications for the party’s future, and how a pair of red shoes may spark a rebellion against the merit myth. I’ve been writing about Liberal women since 2014, trying to explain to people who aren’t familiar with Liberal philosophy why it is so hard (and a bit pointless) to get conservative women to call themselves feminists. Back then, I was sceptical about the usefulness of quotas in addressing the diminishing number of Liberal women, but I’ve changed my mind over time, and wrote in support of quotas for The Australian Women’s Weekly during the 2016 federal election. Up until the brouhaha over Liberal bullying and the snubbing of Julie Bishop during the August 2018 leadership troubles, most (but certainly not all) Liberal women were opposed to quotas. However Bishop’s ‘red shoe rebellion’ seemed to be a turning point for some Liberal women, with a number publicly declaring that something had to be done and quotas should be at least considered. I consider myself to be a former conservative who’s slowly moved to the political centre over time. This seems to have placed me in a unique position of being able to see the Liberal Party’s women problem from a unique perspective – as someone who understands why conservative women resist the solutions that seem so obvious to progressive women. Much of my political commentary and analysis aims to explain politics to people who are interested and want to know more but don’t have the time (or inclination) to devote hours each day to political events. So I thought it would be a useful contribution to Australia’s political debate to write a book explaining why Liberal women still insist on a merit-based system when it is clearly failing them.